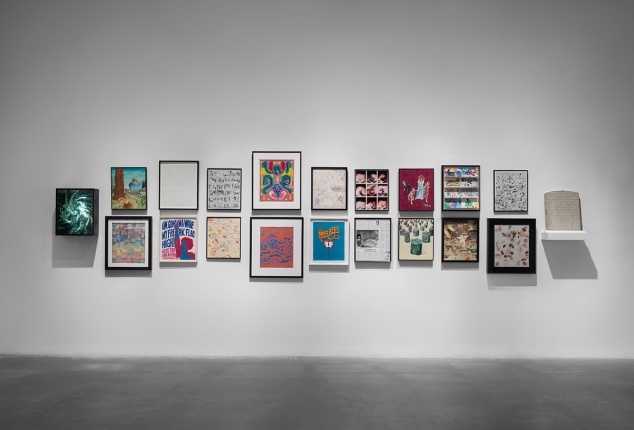 The New Museum presents the first New York survey exhibition of the work of Jim Shaw (b. 1952). Over the past thirty years, Shaw has become one of the United States’ most influential and visionary artists, moving between painting, sculpture, and drawing, and building connections between his own psyche and America’s larger political, social, and spiritual histories. 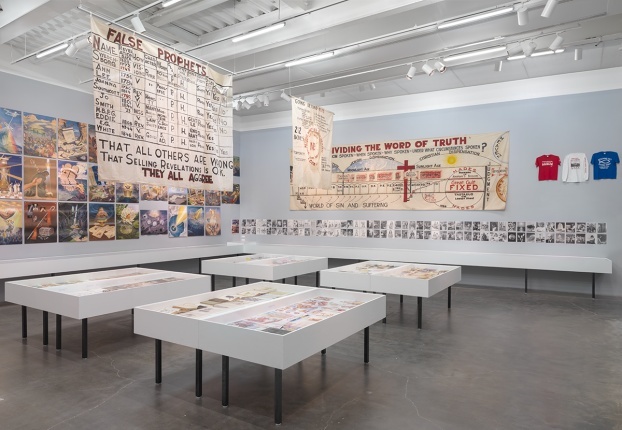 Shaw mines his imagery from the cultural refuse of the twentieth century, using comic books, record covers, conspiracy magazines, and obscure religious iconography to produce a portrait of the nation’s subconscious. Although a recognized icon of the Los Angeles art scene since the 1970s, Shaw has never had a comprehensive museum show in New York. This exhibition, which encompasses three floors of the New Museum, reveals the breadth and inventiveness of his art. A comprehensive selection of his works is presented alongside objects from his collections of vernacular art and religious didactic materials. Shaw’s work is inspired by his childhood in suburban Michigan, his adopted home of Los Angeles where he has lived for over thirty years, and the dark and sprawling underbelly of America as a whole. 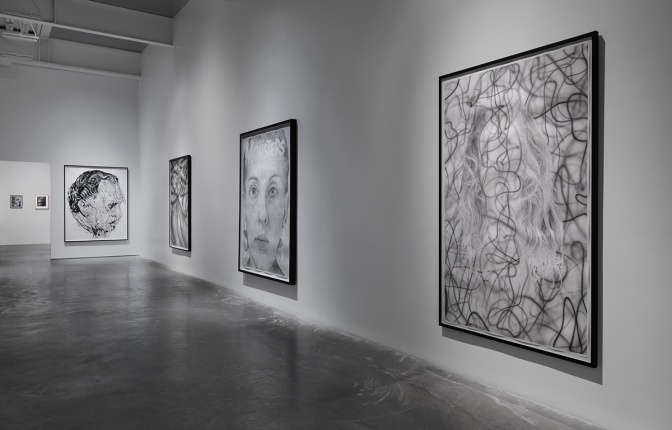 Along with fellow Michigan-native Mike Kelley, Shaw moved to California in the 1970s to attend Cal Arts and was one of a number of notable artists to emerge from the school in the late 1970s and early ’80s. His work is distinguished by rigorous formal and structural analyses of neglected forms of vernacular culture, informed by his large collections of objects representative of consumer desires, religious fervor, and a constantly evolving counterculture. 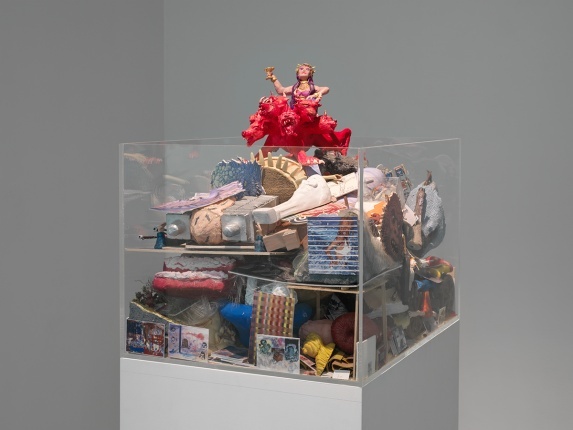 For Shaw, these seemingly mundane artifacts reflect shifting social and political values and the way in which individual Americans are the product of a variety of conflicting forces. 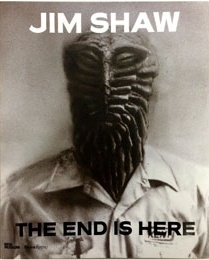 “The End is Here” presents some of Shaw’s most iconic projects, including early airbrush drawings; large selections from his series “Dream Drawings” (1992–99), “Dream Objects” (1994–present), and the sprawling “My Mirage” (1985–91); and Labyrinth: I Dreamt I was Taller than Jonathan Borofsky (2009), a large-scale, immersive installation of sculptures and painted theatrical backdrops. These instantly recognizable works and series—which succeed in reinvigorating and complicating traditional categories like portraiture, history painting, figurations, and abstraction—have never before been brought together in a single exhibition. This survey also includes a presentation of his collection of thrift store paintings, originally shown in New York in 1991, as well as his ongoing collection of religious and pedagogical materials. Presented under the title “The Hidden World,” this diverse assortment of pamphlets, posters, banners, and other ephemera catalogs the spiritual exhortations and admonishments of a constantly expanding pantheon of homegrown prophets and visionaries. These two collections demonstrate Shaw’s unique insight into the spiritual and aesthetic histories of America and the ways in which the obscure, personal expressions he has collected have informed his own unique artworks. As part of his process, Shaw consistently relies upon in-depth historical research, the exploration of his own personal experience and subconscious, and the creation of fictitious histories and characters. The combination of these strategies results in a powerful evocation of the themes of belief, madness, materialism, and war, as they continue to influence contemporary life. The exhibition is curated by Massimiliano Gioni, Artistic Director, and Gary Carrion-Murayari, Kraus Family Curator, with Margot Norton, Associate Curator. Additional support is provided by The Foundation, To-Life, Inc. and the Robert Lehman Foundation. Special thanks to Metro Pictures, Blum & Poe, and Simon Lee Gallery. The accompanying catalogue, published by Skira Rizzoli, is made possible by the J. McSweeney and G. Mills Publications Fund at the New Museum. 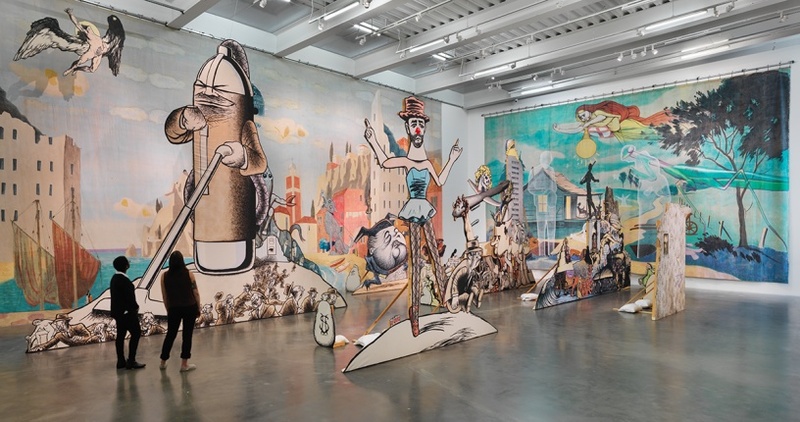 EklundDoug Curatorial pro-tip: Check out #jimshaw's stunning retrospective at @newmuseum today. Most underrated great contemporary artist?